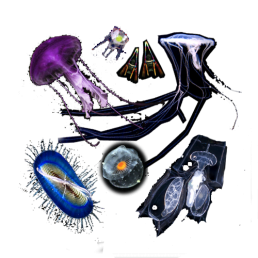 Jellies flourished more than 500 million years ago. 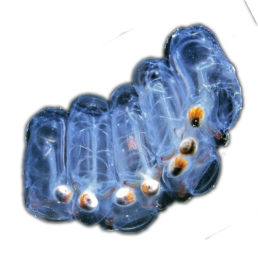 Are they destined to rule the oceans? 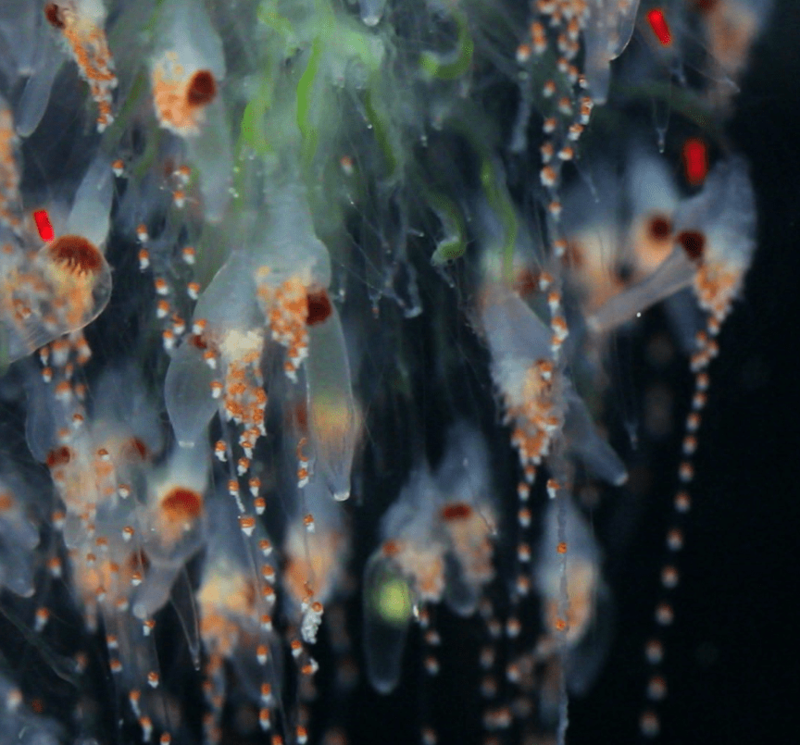 When pulled out of the water jellies become flaccid, gelatinous masses. 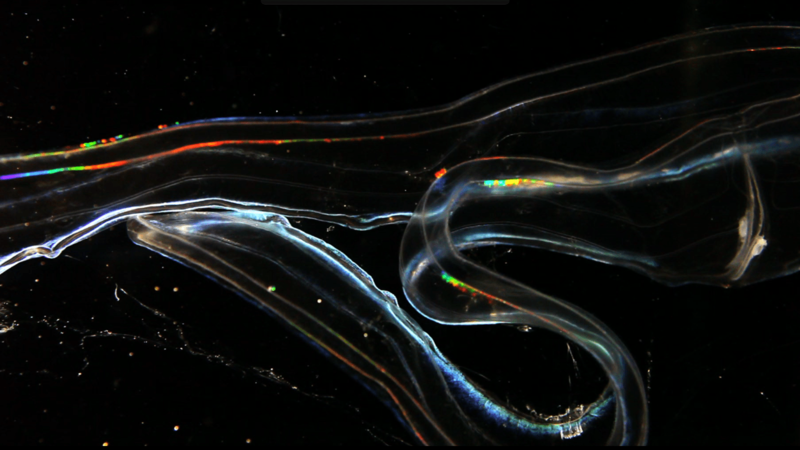 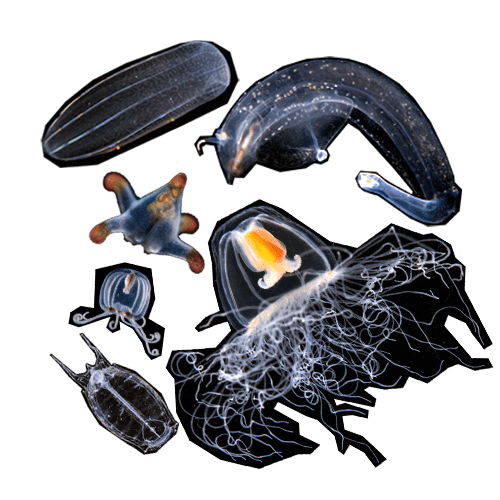 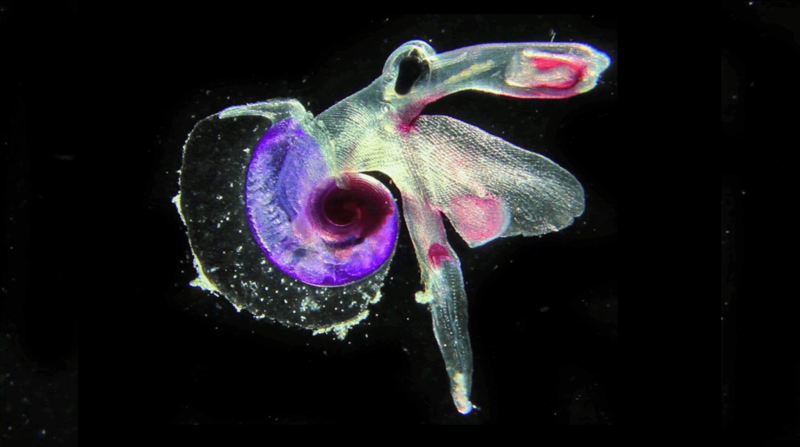 But in the sea, or in an aquarium, gelatinous animals reveal delicate organs perfectly adapted to the drifting routine of planktonic organisms. 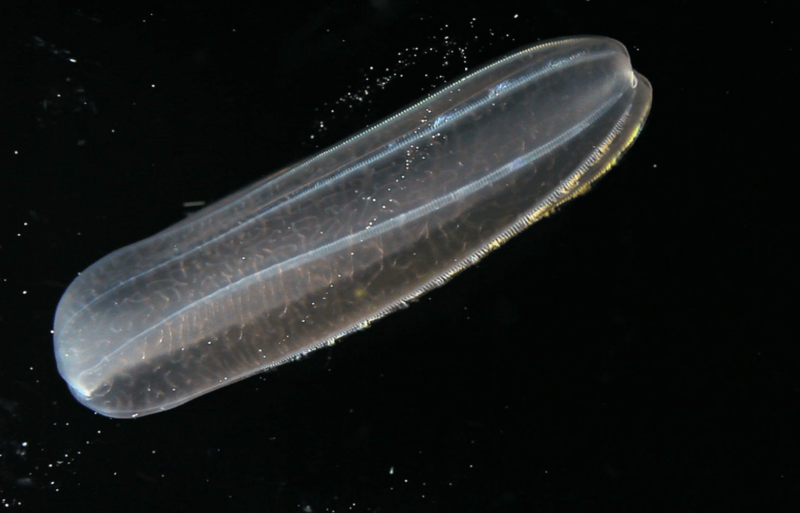 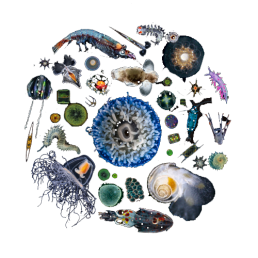 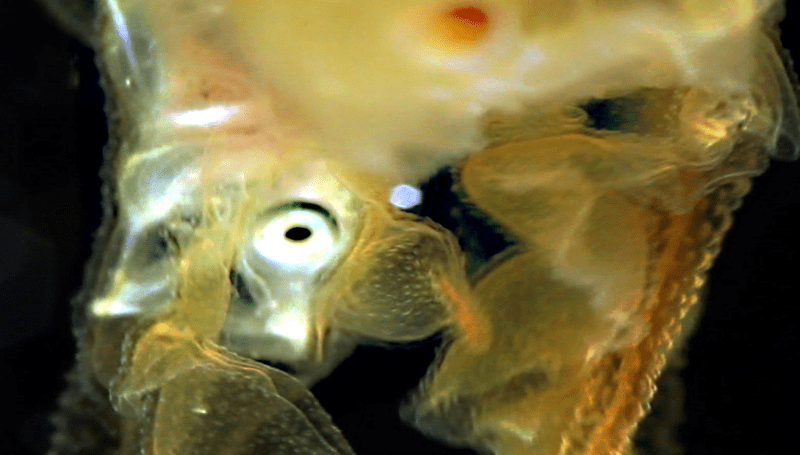 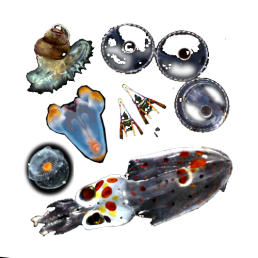 Amongst gelatinous zooplankton, salps and dolioles, are our closest planktonic ancestors. 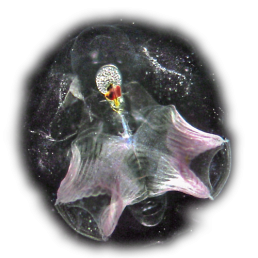 Further from on the evolutionary path are pteropod and heteropod molluskswith or without shells. 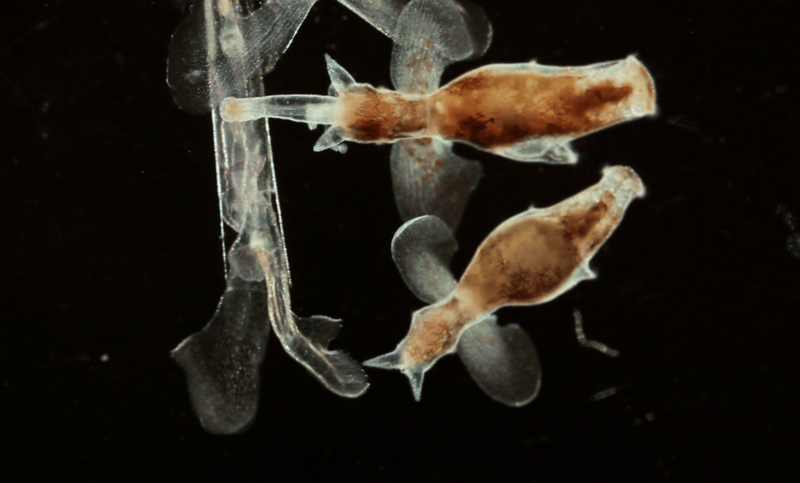 They use their foot as a fin to keep afloat. 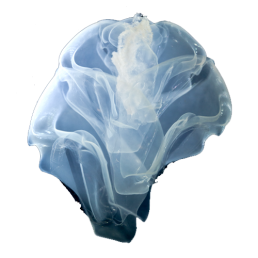 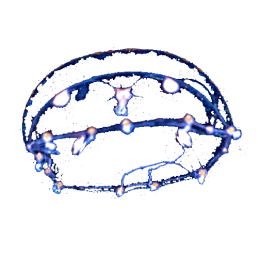 Even more primitive are comb jellies or ctenophores. 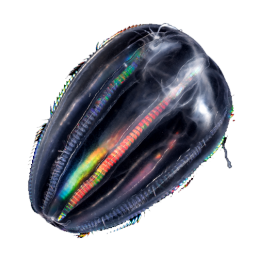 These translucent and iridescent swimmers are propelled by 8 rows of comb plates made of cilia which difract light, creating iridescent patterns. 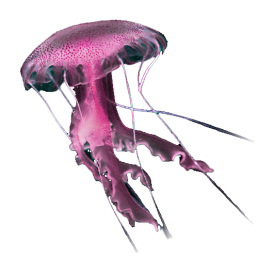 Jellyfish live in droves and drift with the currents. 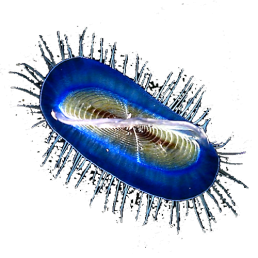 They first appeared on the scene 500 million years ago and are among the most ancient living animals. 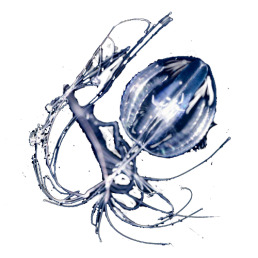 Their fragile cousins, the siphonophores, are less familiar. 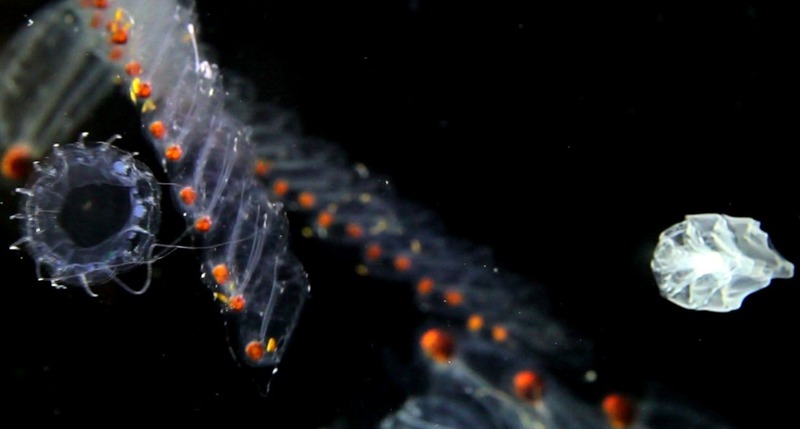 Some siphonophore species are as long as a football field and can be considered the longest animals on earth. 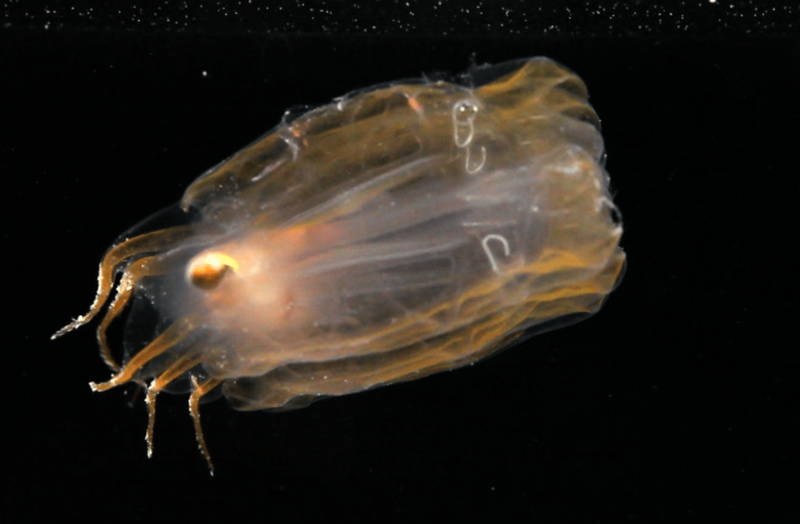 Jellyfish, siphonophores and comb jellies have turned out to be much more resilient than large land animals such as giant mammals and reptiles. 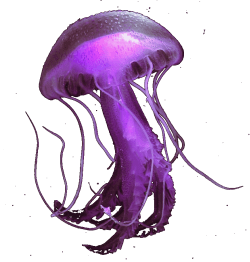 They survived the five major episodes of extinction, adapting swiftly while dinosaurs died out.